A Norwegian spruce, the City of Oslo’s traditional gift to the UK, was cut down in Oslo by the Mayor of Oslo and Lord Mayor of Westminster. Children from the Oslo International School and Norwegian primary school Svendstuen gathered at Midtstuen, Oslo on Tuesday 21 November to sing Christmas carols as they witnessed the start of the journey of this year’s Trafalgar Square Christmas tree. 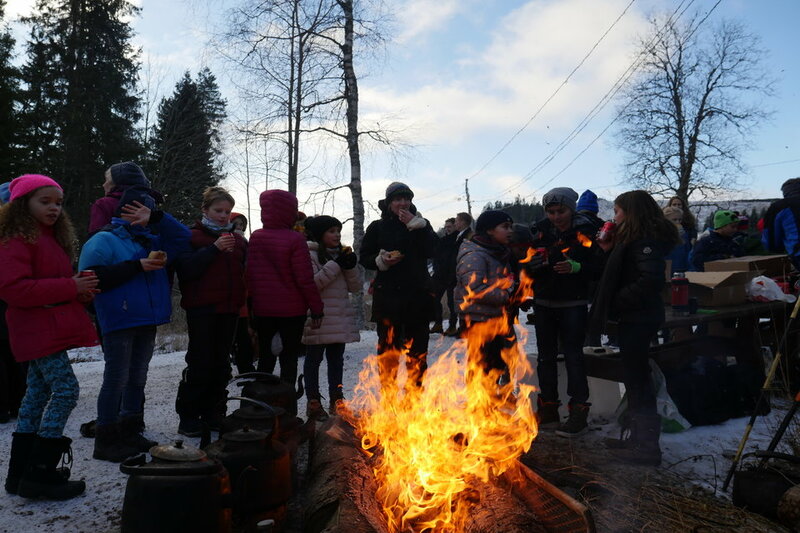 The Mayor of Oslo Marianne Borgen invited The Lord Mayor of Westminster, Councillor Ian Adams, local school choirs and the British Embassy staff to celebrate the 70th gift anniversary over, wood fire, hot drinks and Norwegian traditional sweet buns. 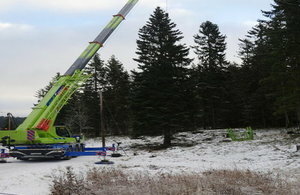 The 70 year old, 21-metre tall tree, which weighs about three tonnes is now on its way to London by road and sea. 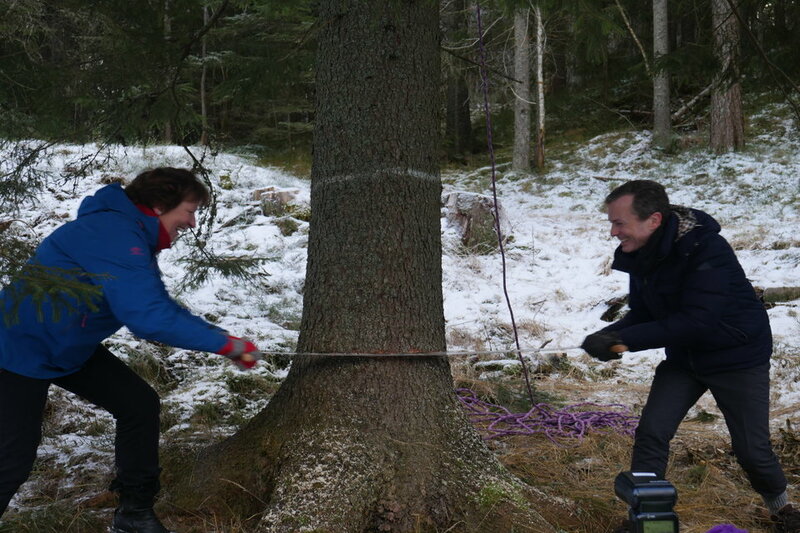 “The Queen of the Forest” as she is affectionately known by the forestry workers who groom a number of spruce trees over a period of years, was selected from a shortlist of particularly fine trees in a process that commenced back in May this year. The Norwegian Christmas tree will be lit with energy-efficient tree lights in Trafalgar Square on Thursday 7 December at 6pm during a ceremony where the Lord Mayor and all Londoners will be able to return the hospitality to our Norwegian friends who will be visiting for this special annual occasion.